Laura Cuenca has recently come forward about her evening with the star receiver. “I do not remember all of the evening, only that we met in a bar and then found ourselves at a hotel and we had passed the night together,” Laura Cuenca wrote in her native French during a private message exchange on Instagram,” says Cuenca. 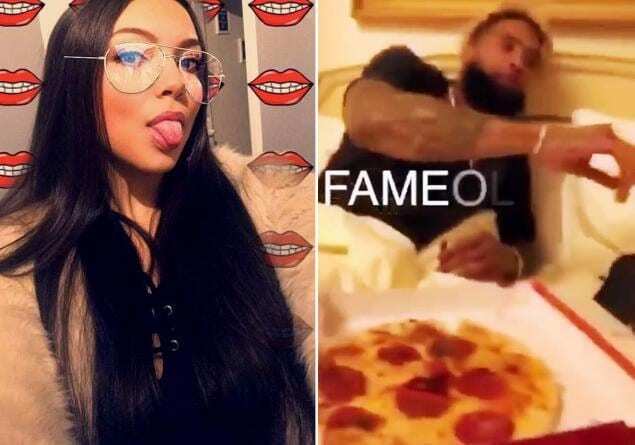 They apparently met March 8, at the Le Queen nightclub in Paris and then ended up at the Four Seasons George V. She claims that Odell left the next morning for his flight to Madrid. What does this mean for Odell? The Giants and the NFL are both aware of the video, but at this point neither have any comments. This video could not have come at a worse time for OBJ, as he is in the midst of contract negotiates with the New York Giants. He has already been spoken to by John Mara about his antics on the field, but this is the first time an off-field issue such as this has come up.